A. Lange & Sohne Tourbillon Pour Le Merite in platinum with special-order blued steel hands is up for auction at Antiquorum. It’s auction season again and we couldn’t be happier. There are so many great timepieces up on the block and they are commanding high prices that we believe collectors are willing to spend. Antiquorum’s upcoming auction on October 8 at The Roosevelt Hotel in New York is ripe with promise. 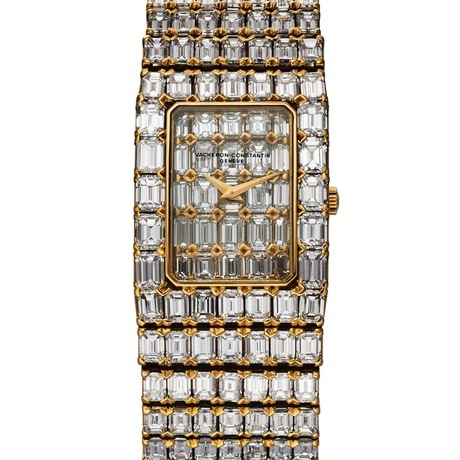 At the sale of Important Modern & Vintage Timepieces, 324 lots will be auctioned. Among the highlights we like: an extraordinary A. Lange & Sohne “Richard Lange” Tourbillon Pour Le Merite No. 090/100. It features special order blued steel hands and is the only piece in platinum with such hands. The watch was made in 2011 and is a tourbillon with off-center hour dial. It is expected to sell for between $100,000 and $150,000. 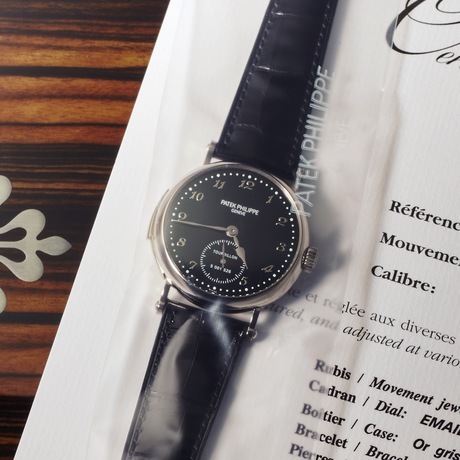 Patek Philippe sealed Ref. 5539 Tourbillon Minute Repeater with Black Enamel Dial in White Gold. Sold May 5, 2014. 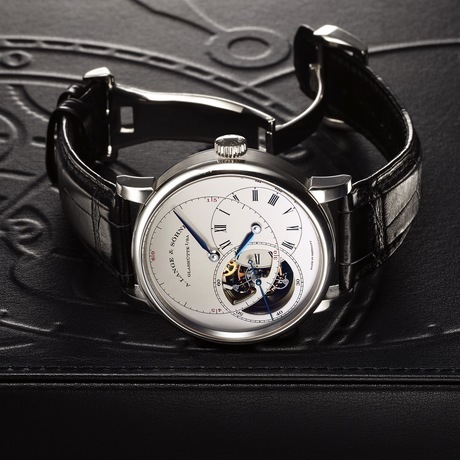 It features a one minute tourbillon regulator and should sell for upwards of $300,000. Patek Philippe also is highly visible at this auction, with a few key pieces. One that is particularly impressive is the Ref. 5304R. Made in 2015, this is an exceptionally fine, rare and important, semi-skeletonized, minute-repeating, astronomic, rose gold wristwatch with perpetual calendar, retrograde date, moon phases and leap year indication. According to research, this appears to be the first time this timepiece has been offered publically at auction. It is expected to garner upwards of half a million dollars. For the Vacheron Constantin collector, there is a Vacheron Constantin “Lord Kalla.” Made in 1980s, it is exceptionally rare and important 18K yellow gold diamond-set wristwatch with 287 baguette diamonds with an integrated full baguette diamond-set bracelet. It is estimated to sell for between $150,000 and $200,000.